Carpet tape is a term used to identify three types of tapes used for carpet applications. One type has to do with keeping carpets and area rugs in place. The term is also used for a product that is used to bind up raw edges on carpets and carpet fragments. A third form has to do with joining two or more sections of carpeting to create a single piece. 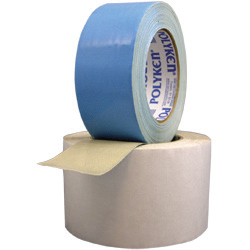 When it comes to keeping a rug in place, a double-sided carpet tape product is often used. Adhesive found on both sides of the tape make it possible to create a strong bond between the backing of the carpet and the floor surface. 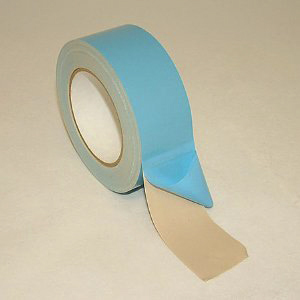 This type of tape is usually found in rolls, as with any other type of tape product, and is an ideal solution for any carpeting that is not manufactured as a no-slip rug. To keep the adhesive fresh and the tape ready for use, a paper backing is usually included on one or both sides of the tape. The backing is peeled away after the sections of tape are cut to fit the dimensions of the carpet or rug. Cut sections of the binding tape are affixed to the underside of the rug, which is then moved into position on the floor. Smoothing out the rug and pressing slightly on the areas where the tape is found underneath help to establish the bond between the rug and the surface of the floor. Carpet Tape used to bind the raw edges of a carpet fragment is often helpful when using a larger fragment for an area rug. The vinyl tape is affixed to the underside, leaving a small lip that is folded over and pressed into place on the front side. While not as secure as other forms of rug binding, the tape will remain in place for a significant amount of time. To create a strong connection between sections of carpeting, One-sided Carpet Seam tape is used when joining two smaller pieces to form one larger carpet or area rug. By turning the carpeting with the backing facing up, it is possible to align the sections and then apply a line of this one-sided tape to join the two pieces. One-sided Carpet Seam tape is often used by designers to create an interesting and unique carpet. It can also be used to insert a new section of carpet to replace a section that was damaged and cut from the larger piece.